Heat oven to 400°F. Grease 15x10-inch or larger dark or nonstick cookie sheet with shortening. Unroll dough onto cookie sheet. Starting at center, press out dough into 15x10-inch rectangle. Bake 5 minutes. Remove from oven. Sprinkle 1 cup of the cheese over warm crust. 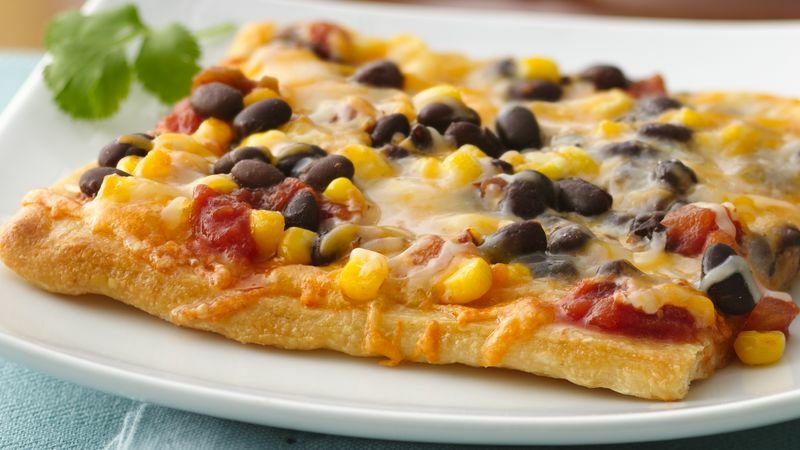 Top with salsa, beans, corn and remaining cheese. Bake 6 to 10 minutes or until cheese is melted and crust is golden brown. For Pizza Night, offer your favorite taco toppings, such as sour cream, chopped green onions or chopped cilantro to dress up the pizza.